This is a fabulous green Peace Bow Tie with a striking print incorporating the internationally recognised symbol for peace. It's a perfect accessory if you want to show your friends that you care about the world, peace and green issues....for the environment friendly dog owner and the eco warrier. Be proud to be green! This Bow Tie is super quality 100% cotton. Dudiedog Bow Ties are beautifully handmade, and have just the right amount of stiffening to make them super smart yet comfortable to wear. Choose your Bow Tie to either fasten onto your dog's collar with 2 hook & loop strips, or to be attached to a matching neckband that fastens with a hook & loop strip. These are all custom made to order, to fit your Dudiedog perfectly! 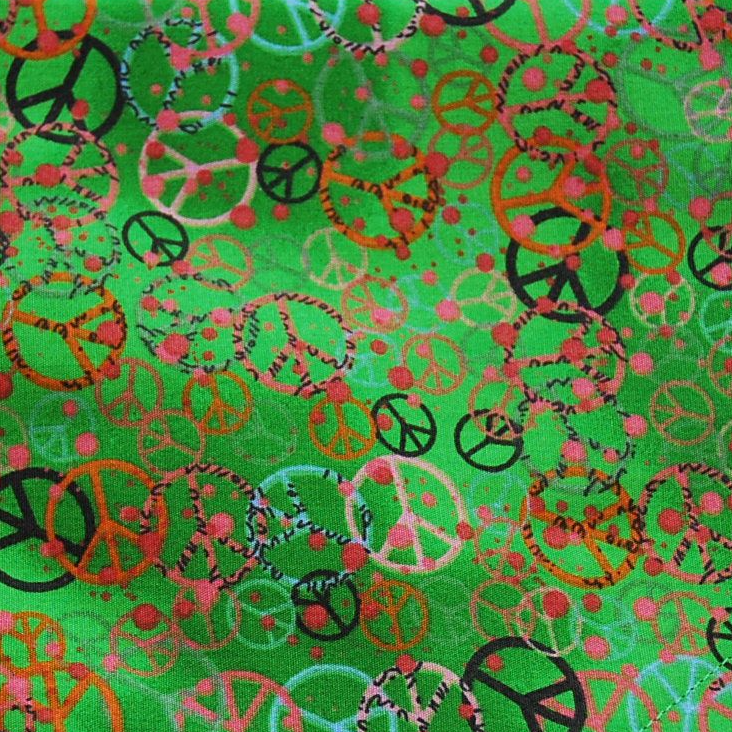 Stand up for Peace and green living with this gorgeous Green Peace dog bandana!